Reactive forms are one approach (alongside with the template-driven approach) of working with forms in Angular 7. 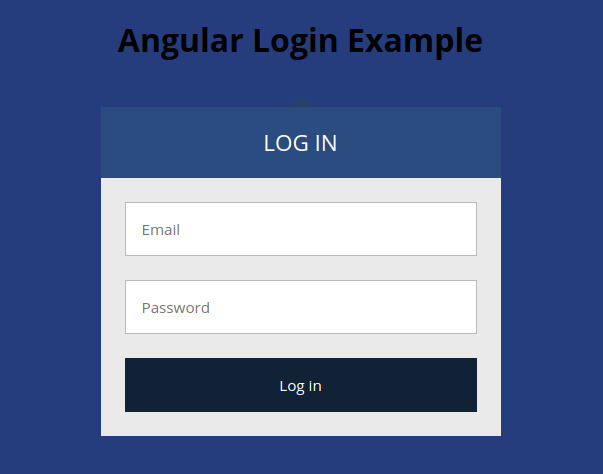 In this tutorial, we'll build a login form example with validation using the reactive or the model-driven approach. You need to have Node.js and npm installed on your system. You also need Angular CLI 7 installed otherwise, you can simply run the npm install -g @angular/cli command to install it. Let's start our tutorial by generating a project from scratch. You can skip this part if you already have a project. You will be asked if Would you like to add Angular routing? Enter y and Which stylesheet format would you like to use? Choose CSS. The CLI will generate the necessary source and configuration files and install the npm dependencies. You'll also have routing setup without further intervention from you. You only need to add your components in the routes array in the src/app/app-routing.module.ts file which is the root routing module of our application. Let's now generate the different artifacts needed in our project. We'll need a couple of components, a service, an interface and a Router guard. We generate two LoginComponent and AdminComponent components. The login component will contain a model-driven (reactive) form for submitting the user's email and password. The admin component will be protected from public access. Only logged in users will be able to access it and will contain a logout button permitting the user to log out. We add three routes, one for redirecting the empty path to the login path, the login path and the admin path. Now, when you visit the http://127.0.0.1:4200/ address you'll be redirected to http://127.0.0.1:4200/login. Our model is comprised of an email and password. This is a incomplete authentication service. 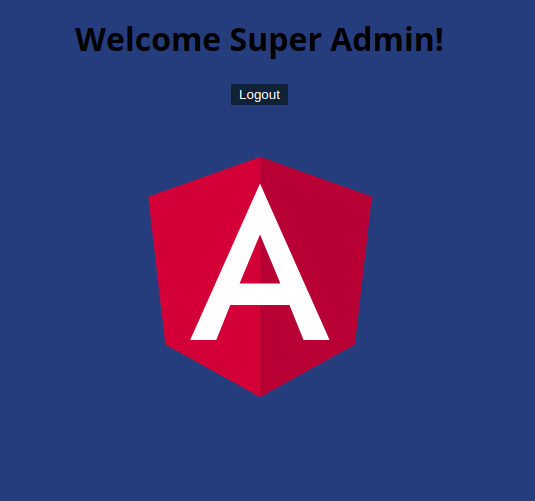 For a real world and complete implementation, check out Angular 7|6 Tutorial: Using Angular HttpClient with Node & Express.js - Example POST Requests. We import AuthService and inject it via the class constructor then in the canActivate() method, we call and return the isLoggedIn() method. The canActivate() method returns true if the isLoggedIn() methods returns true i.e if the user is logged in. If the canActivate() method returns true the route which has this guard applied can be accessed by the user. We use the canActivate array of the admin route to apply AuthGuard to the route which protects it from users that are not logged in. Before using reactive forms in Angular we need to import FormsModule and ReactiveFormsModule in the application module. We can now use reactive forms in our application! AuthService and the User model. For styling the form we'll be using this codepen example. 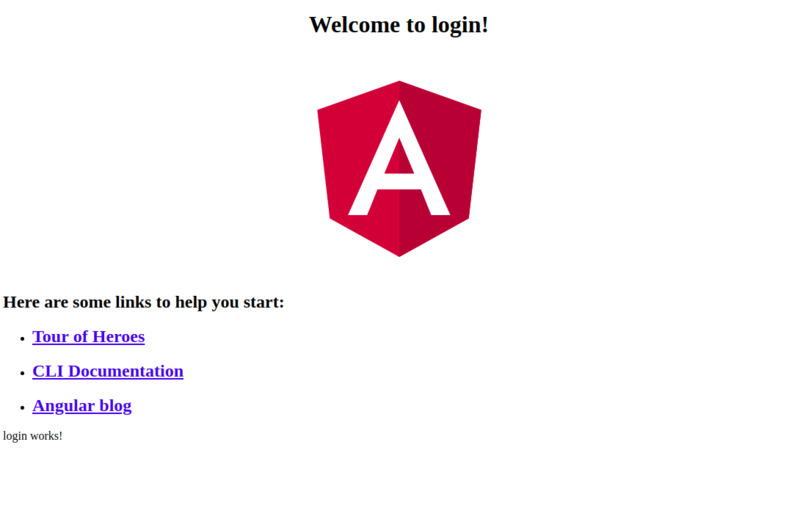 You can log out from the admin page and you will be redirected to the login form. 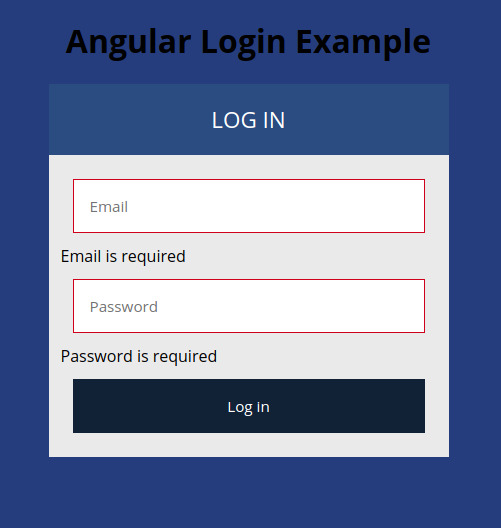 We reached the end of this tutorial in which we have created a login from with Angular reactive forms. We've also seen how to do form validation.